The Oakshott Colourshott Bundle Blog Hop - my turn! 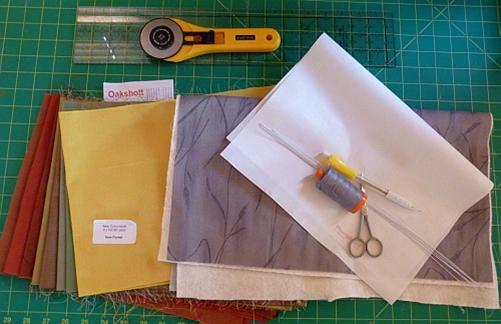 I hope you are enjoying the blog hop with the delicious Oakshott fabrics. There have been some wonderful ideas of how the bundles could be put to good use! These fabric bundles are going to be released at the Festival of Quilts in August. Today it is my turn to show you what I have done. As some of you know, my husband and I are enjoying living on the canal in the UK on a canal boat which has been very interesting and a huge amount of fun! ! So I have made a small wall-hanging inspired by the lock gates, which come in a variety of similar styles and are all amazingly heavy! and after operating approximately 50 over 3 days recently, they are very topical just now! 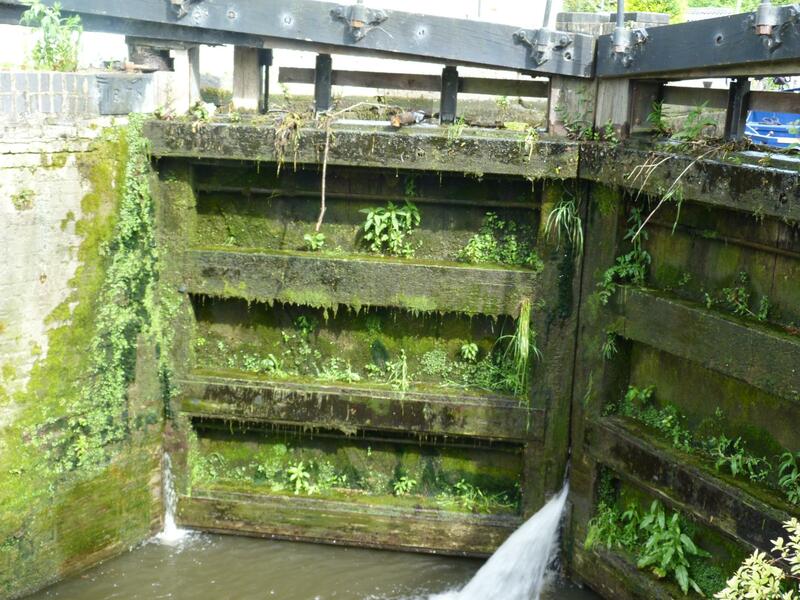 This is the original lock gate that inspired "That Lock Gate" wall-hanging. Here is a tutorial of the wall-hanging "That Lock Gate"which I hope you will enjoy. 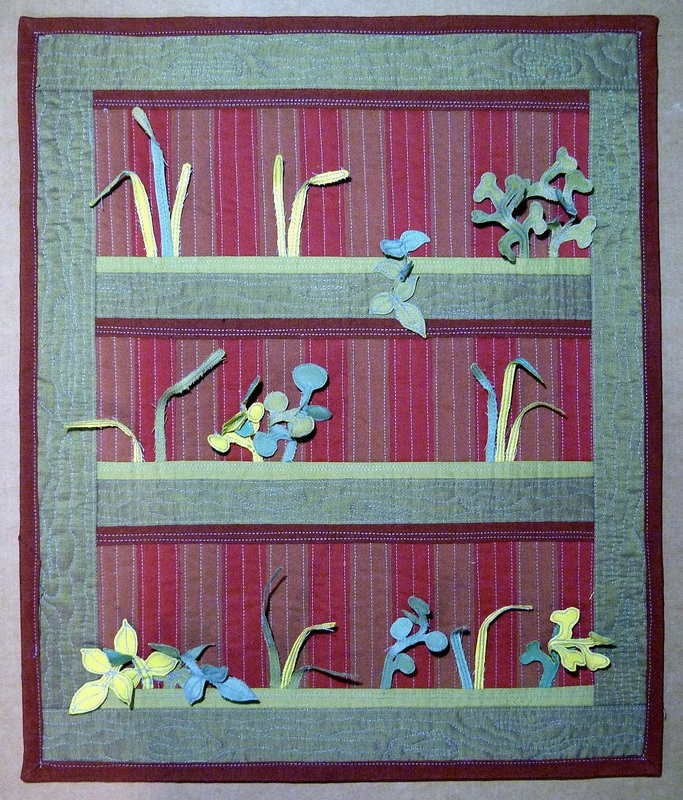 There is also a video tutorial for this wall-hanging, in 2 Parts, see below. That Lock Gate measures approx. 15" x 18". The Oakshott fabric bundle I received is called New Forest. 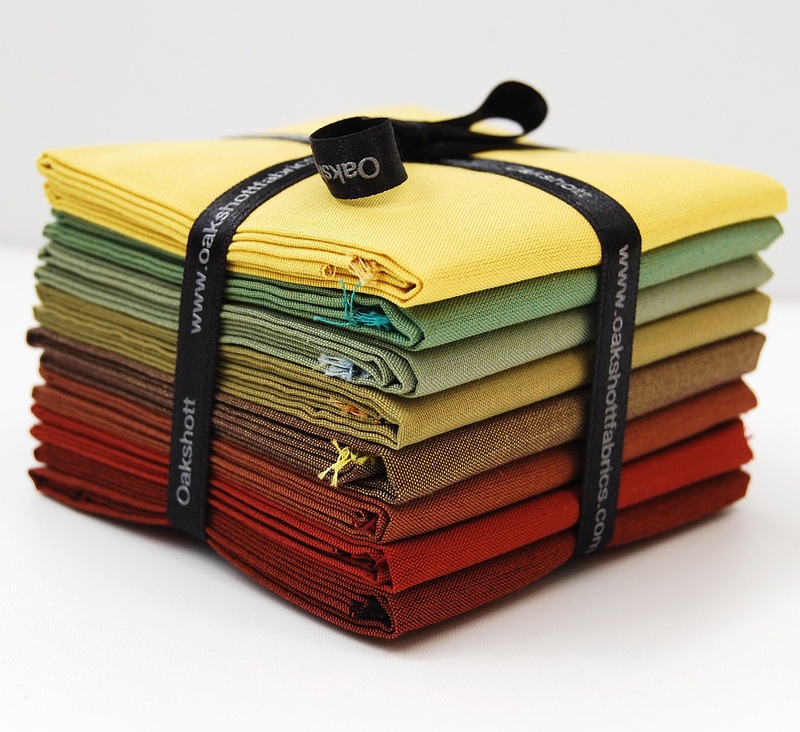 The bundle consists of eight fat 1/8's and because the fabrics are extra wide, there is plenty of fabric. Bundle 8 x fat 1/8's Oakshott New Forest Backing approx. 17” x 20” Batting approx. 17” x 20” - cotton or thin batting (I used Warm and Natural cotton) Marking chalk pencil Pencil for drawing on fabric for foliage (I use a mechanical pencil) Thread (I used Aurifil 2610, 50wt throughout) 30cm (1/3 yard) Fusible web with paper backing (I used Heat 'n Bond Lite) Small sharp scissors for cutting out foliage Fine wire - florist or craft wire General cutting/sewing supplies Cutting: Darkest rust - 3 x 1” x 12 1/2” strips Binding - 3 x 2 1/4” x 26” strips Rusty colours x 2 - from each, cut 6 x 1 1/2” x 15” strips Darkest green - 4 x 2” x 15 1/2” strips & 2 x 2” x 12 1/2” strips Med green - 3 x 1” x 12 1/2” strips Use the remaining 3 greens/yellow for foliage All seam allowances are 1/4” unless otherwise mentioned and are included in the cutting measurements. Join together, alternating the 2 colours, the rusty strips (1 1/2” x 15”) Press this and trim to measure 12 1/2" wide by 14 1/2" long. This wall-hanging is quilted as you go. Lay the backing, right side down, then the batting on top. Position the joined up strips on to this, right side up, centring it. 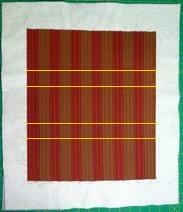 Secure the 3 layers, with pins maybe, and then quilt this piece with parallel lines approx. 1/4” apart, up and down the strips. Using the chalk or marking pencil, measuring from the top edge of the quilted strips, using your quilting ruler to help, mark a line across 4” down, (line A) then a line 1 1/2” down from that line, (line B) then a line 3 1/2” down from that, (line C) then 1 1/2” down from that line, (line D) then there should be 4” left down to the lower edge from that line. Set this aside while we do some foliage. Foliage: This is "play time"! I had great fun with different, imaginary leafy shapes! Grass first: Cut some lengths of the wire, varying the length from about 2 1/2" to 3 1/2". It is easily cut with scissors (not your best scissors!). I cut 15, but there is no specific number. Cut 3 pieces approx. 4” square of fusible web, and also 2 squares each (same size) of the 3 green/yellow fabrics. Fuse the web to the wrong sides of 3 squares, peel off the paper and lay some wire across in parallel lines, with one end level with an edge of the fabric. 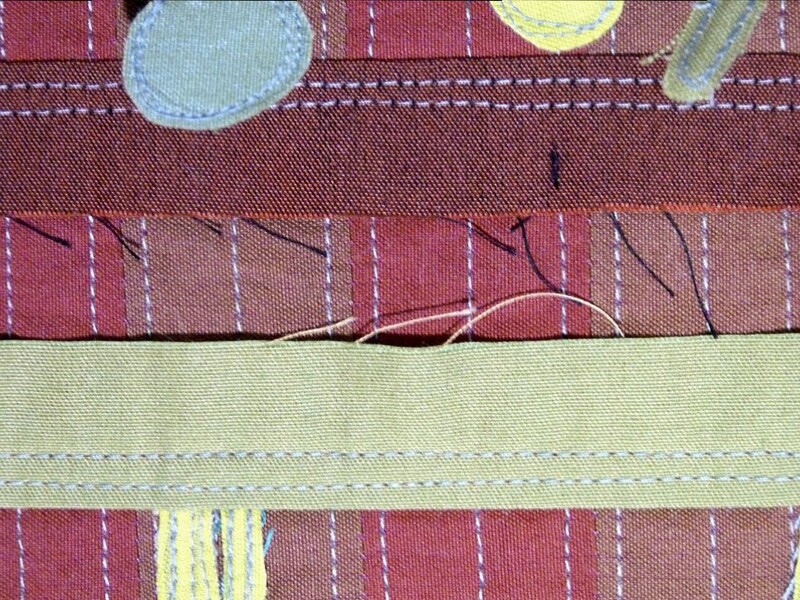 Lay the remaining squares on top (right side up) and press, with fusible web and wire in between. Using the wire as a rough guide, draw close to the wire, up both sides. 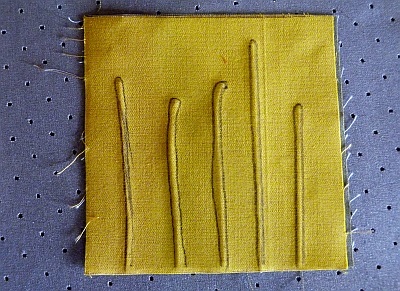 Stitch along, using free motion sewing, or close to the drawn line a couple of times, just rounding the top, keeping the blades of grass as thin as reasonable. Some will be longer than others, keep them fairly narrow. The wire will help give the grass some stiffening and shaping. Cut out numerous blades of grass, set these aside for now. Part 1 of the video takes you to this point. (video below) Part 2 of the video starts at this point. 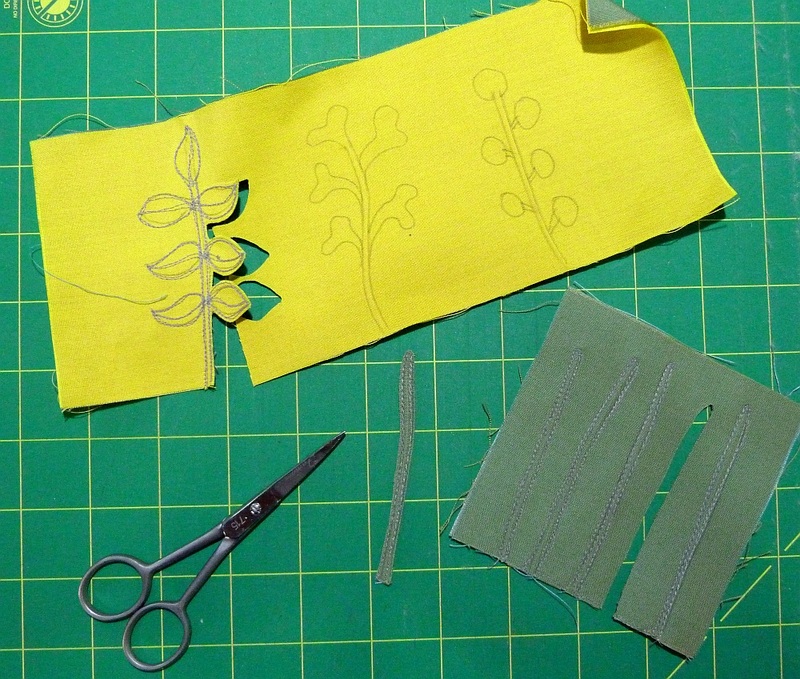 (video below) Now for some leafy shapes: Cut some lengths of the wire, varying the length from about 3" to 3 1/2". I cut 9, but there is no specific number. This is similar to the grass. 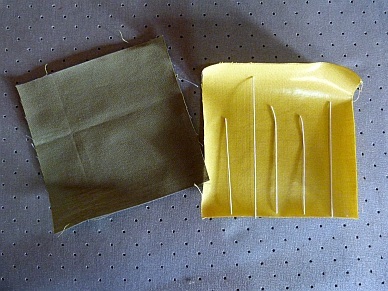 Cut three pieces 4” x 8” of fusible web, and also 2 each the same size of the 3 green/yellow fabrics. 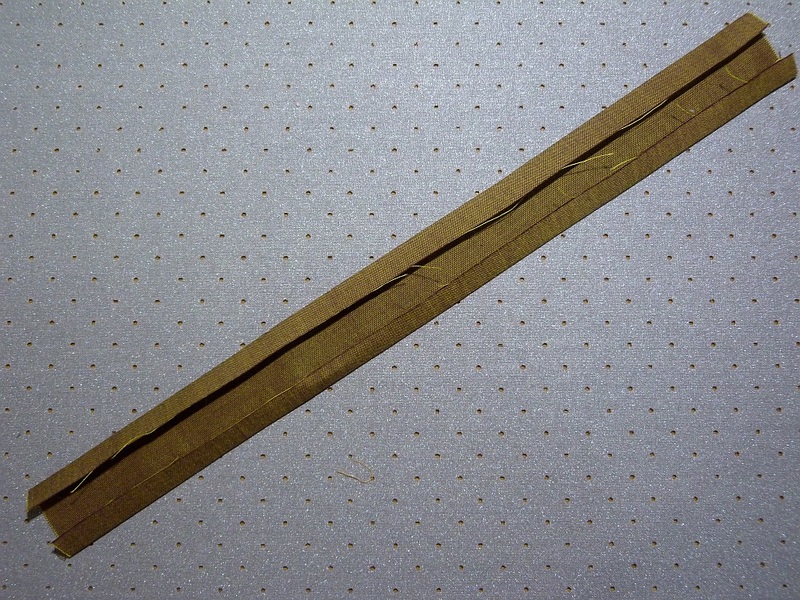 Fuse the web to the wrong sides of 3 of these rectangles, peel off the paper and lay some wires across, with one end level with an edge of the fabric. Space these out to allow for leafy shapes on each wire, I did 3 per rectangle. 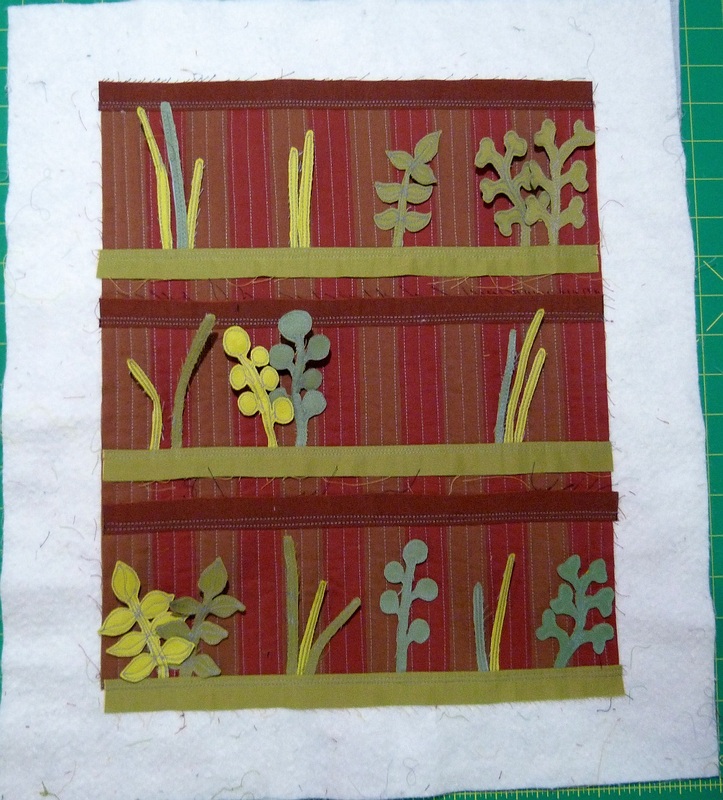 Lay the remaining rectangles on top (right side up) and press, with fusible web and wire in between. Looking at the suggested shapes as a guide, draw a variety on to the fused fabrics. Now do some outline straight stitching around the inside edge of the shapes, then do some more stitching for leaf veins etc. Cut out numerous leafy shapes, set these aside for now. Play Time! Have a look at your foliage and try different positions, there are 3 levels, the lines previously marked will help. Work out the general plan, then work on the lower section first. 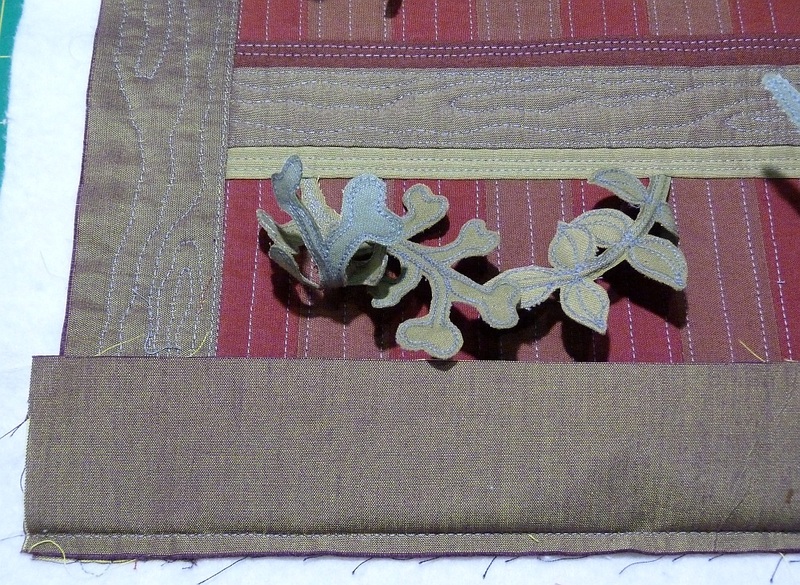 Position the foliage for the lower section along the lower edge of the quilted strips background, pin in place, then lay a medium green strip, right side down, over the ends of the foliage, along with raw edges even, stitch in place (1/4” seam). Press strip down and do a couple of straight quilting lines across. Next, work on the middle section. 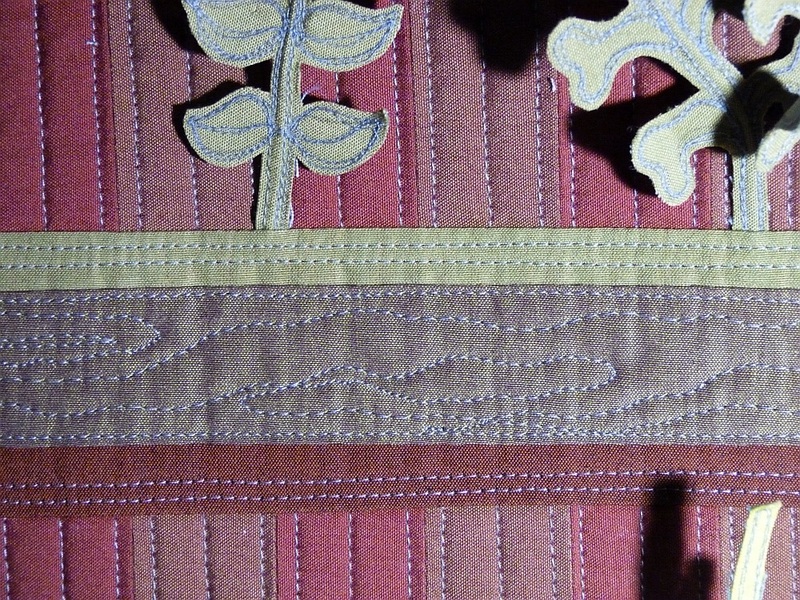 Using line C as your guide, position the foliage for the middle section along the line C, pin in place, then lay a medium green strip, right side down, along with raw edge even with line C, stitch in place (1/4” seam). Press strip down and do a couple of straight quilting lines across. Repeat this process for the upper section along line A. Previous article Where do you like to quilt?